It’s two weeks until Thanksgiving! You know what that means? Any second now the talking heads and “experts” will rise up and moan and rail against retail. Suddenly the plight of the employee and the sanctity of family will take on grave importance. The siren song of the big box store will lure people away from the sacredness of their nuclear hearth! How dire it is to impose commercialism onto such a pure holiday! Never mind the millions of turkey and pilgrim tchotcke festooning tables and mantels. Disregard the families barcalounged in front of football games all. day. long. 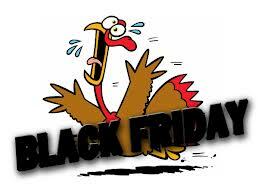 It is shopping that threatens to erode this holy Norman Rockwell day! “People shouldn’t have to work on Thanksgiving”; the bobble talking heads will shout. I suppose we should close the hospitals, police force & diners as well. Lots of people work on Thanksgiving. Do we expect the secret service or any branch of the military to lay down their arms and hoist a drumstick? I’m not sure anyone would want pilots, gas station attendants or bus drivers to have the day off. It’s interesting that retail employees are often the concern during this sacred poultry time. Retail workers regularly work evenings and weekends and often quite erratic schedules. Depending upon the shop they can be forced to wear a uniform and carry a see-though bag containing their belongings (the assumption being that they steal.) Retail workers are often on their feet all day long, not allowed to use the same bathroom as the customers and not given their week’s work schedule until the last minute. Throughout most of the year their interests aren’t exactly a priority. Let us just assume the moaners/ranters are just grasping at (cheese) straws and spouting twaddle. But what of the family?! Whose family exactly? Is there a family so functional and fun loving and their time together so sacred? Is this fictional (if not entirely creepy) family so enamored with each other yet powerless to resist the charms of a doorbuster sale? Many many people do not have a family or one with whom they’d like to be sequestered. To impose some ideal onto every single person is if not callous than surely annoying. Would anyone care if family members went to the movies (spending obscene amounts of money to sit in dark silence together?) What is it about shopping that rankles the pundits? Is it that the shopping in question is for Christmas? Is the melding of holidays the equivalent of “my corn is touching my sweet potatoes!!!!”? If that’s it I suggest they take on the Thanksgiving/Chanukah synchronized celebrating of 2013. I suspect that at the core of the whining is that any kind of change can make people cranky. Thanksgiving is nothing else if not a holiday revered for its stasis. We eat the same exact foods every year (heaven help the host who changes the stuffing recipe!) We go to or watch the same parade or movies. We take the post-feast walk or nap. There’s nothing wrong with clinging fast to the comfort of tradition. But there are lots of people out there with lots of different needs and desires. The idea that there is only one way to do something is a bit offensive. There’s a reason we serve more than one kind of pie. You can’t make it through a week in New York City with out spotting a Haddad’s dressing room trailer. Movies and television shows are shot continuously throughout the year and throughout the boroughs. Whether the shot is an exterior (there is no substitute for the real city) or interior, the streets are lined with trailers and crews. In certain neighborhoods it’s next to impossible to not be in a background shot. Less elaborate shooting is harder to spot but most likely happens more frequently. Student films, illegal shoots (done without permit and too much attention), news crews, ‘celebrity’ interviews at events (oft times the category of ‘celebrity’ is broad enough to include those recognized only by their extended family), and the creator of ‘celebrity’; reality shows. In this town, you can not swing a restylane filled cat without hitting a reality show participant or shoot. Cooking, chatting, mating, dieting, contest, gossip & housewife shows are all shot here. In addition there are several more niche shows that go in and out of production. There was a restaurant show, not a sitcom like It’s A Living (that was a nice little show) but a behind the scenes show (like anyone wants their worst fears of what happens in a restaurant kitchen confirmed). 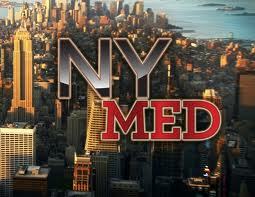 Currently a hospital reality show is being shot in NYC. A previous season was shot at a Boston hospital and now it’s our turn. If memory serves; an intern (or two or three) are followed and recorded and we learn a bit of their personal life (or it being a perpetually on-call intern; their lack of a personal life.) I suppose the premise is interesting for anyone contemplating a life in medicine. If it’s an interest in blood & gore one has, there are shows that do that kind of thing better. This series almost poses as eduinfotainment. Almost. Ignoring for a moment the ethics (or simply good taste) of filming people experiencing a medical emergency (and it’s always a medical emergency being filmed; elective surgery rarely provides drama.) Let us instead consider the reality of this reality show. I was on set (otherwise known as accompanying someone to the E.R.) yesterday and had the opportunity to witness the sausage being made. Upon check-in I noticed a gaunt unnaturally white man clad in scrubs and carrying a handheld television camera like it was a scythe. There he was in Admitting. Oh look who’s that guy in Radiology? Wait didn’t I just see you in the ambulance bay? He’s Waldo sniffing out an ’emergency.’ And like a good made for T.V. movie, his prayers were answered. An elderly woman arrived in the throes of anaphylactic shock. She could speak and she could breathe, but it was serious. It was as if a bomb went off; the floor emptied and every nurse, doctor, and other scrub wearing personnel crammed into the bay. The 10 foot by 10 foot space came to resemble a clown car, with countless people entering and exiting. There was not a single nurse or physician available to the other patients in the E.R. for 45 minutes. The woman was intubated and moved to a room within 15 minutes. So what’s wrong with the math? Why did it take at least a dozen people to intubate a compliant elderly woman? Why did a 15 minute procedure waylay personnel for 45 minutes? Waldo. Not only did each doctor retell the horror and drama directly to the camera, a nurse slowly enacted calling for a room (which was already procured) for the camera. Doctors spoke fervently about the extreme danger and mystery of anaphylaxis and then disappeared back into the bowels of the hospital. The granddaughter of the patient, a weeping shaking teenager was all alone; except for the hospital handler guiding her to speak to the camera. If you’re still reading this, you might want to stop now. For the next hour the nurses, interns, and attending physicians chatted excitedly about the event. Overheard was; “Oh my god I was like okay we can do this” and “Wow that was wild.” Now if I’m not mistaken an emergency room (in a world famous teaching hospital) sees its fair share of emergencies. Anaphylaxis is dangerous and certainly an emergency but is it rare? Is any emergency rare enough to warrant an OMG from the staff? The chatter, tempo and general ambience was that of a junior high school fire drill. Was it all for the benefit of Waldo? 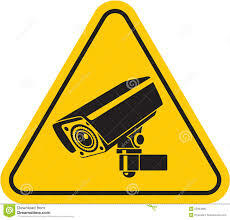 Does the very presence of a camera alter people’s behavior? Usually. Were there personnel that showed up for this particular emergency knowing the footage would make it into the final cut? A quick Google search verified those emergency guests are regulars on the show. My guess is that this event will make for 10 minutes of footage (5 real minutes and 5 slow motion & recap moments.) What won’t make it onto the show are the patients that we left alone for 30-40 minutes at a time. We’ll never see the elderly incoherent patient never seen by a hospital handler let alone an actual doctor. The camera did not pick up on the man left on a gurney in the hallway for 7 hours while many bays were empty. The camera missed the attending physician checking on a patient without looking at the chart or asking any questions. The audience will never see this doctor making a surreal diagnosis completely unrelated to the presenting issue, answering his cell phone, and rushing out for his one-on-one with Waldo. Maybe I’m darker than most, but I’d watch that show. Medical Insurance (or as it’s less accurately known; health insurance) is on its way to reformation. It’s not clear if the results of the reform will render the; coverage, procedures and rights of the users any more decipherable than they are right now. But what is clear is that the more something is examined the more flaws are brought to light. Where things potentially get exciting and sane is the possibility of payment parity. Currently medical insurance is sold in two sizes; individual and family. The individual plan is discreet and self-explanatory. The family-size is an unlimited free for all. There is nothing equitable about this framework. A two-person family is paying the same rate as a ten person family. A parent with one child is in essence subsidizing larger families. Two options of coverage (individual and family) only benefits large families (and no doubt insurance companies.) There is no other insurance plan (of which I’m aware) that operates this way. You don’t buy homeowner insurance for either one home or an unlimited amount of homes. You don’t purchase auto or life insurance in this manner either. You purchase insurance plans for each entity that needs coverage. I would like to think that as the thinkologists are drawing up this new way of doing medical care business, they will take note of this inequity. (Can’t really see my eye rolling behind these rose colored glasses, can you?) Perhaps when all people (not covered by employers) have to purchase insurance they will balk at the two sizes fits all framework. People probably don’t spend a lot of time scrutinizing each pay-stub and considering their pre-tax contributions. But it’s hard to ignore being overcharged when you are writing the check. Sometime during the last four decades or so we’ve convinced ourselves that medical insurance is mandatory and good. It is not a coincidence that healthcare costs have skyrocketed as we succumbed to this thinking. 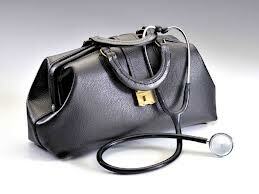 There are too many bad medical practices and less than good doctors hiding behind insurance. There is far too much money and time spent trying to keep costs down versus caring for people. Good care that focuses on what’s best for the patient is what we need. We’re on our way to medical insurance for all. Now how about some actual health care reform?